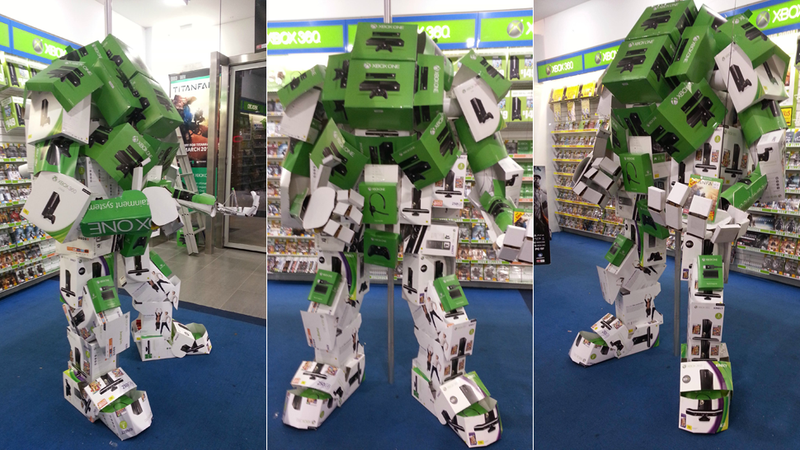 Though jumping in that titan would probably be a bad idea, one of the employees of an EB Games store in Melbourne, Australia came up with the best way to use up empty Xbox One and 360 boxes: he built an almost life-sized titan from Titanfall to guard the store. UPDATE - Kotaku Australia has tracked down the display's creator and had a little chat. Here are some work in progress shots from different angles. Pretty impressive!